An IP webcam is a camera connected to the internet without a computer, and they've become common tools to keep an eye on pets, to see if your package was delivered, and to make video calls from a television. They can be incredibly useful, but they also have their risks. Here's how, and when, to use them. An IP webcam is usually a small device that can be discreetly hidden in an area or easily mounted, although they usually need to be plugged into a standard wall outlet or have batteries changed regularly. They range from very simple cameras that take low-resolution black-and-white video to full-color HD devices that can automatically track people and animals within their range of vision with servos built into their mounts. The most advanced models have features like night-vision and battery backup. They connect to your in-home Wi-Fi network through your router, and you can look through them with a webcam app. Generally, everything is run through the app. You'll connect to your network through it, set it up with a step-by-step process, and watch video and live streams through the app. As a rule, most brands of webcams will have apps for both Android and iOS, and have a web page you log into for laptops and desktops. Check the packaging for the App Store and Google Play logos to ensure it's compatible with your device. Don't forget to check to be sure the webcam app is supported by your phone or tablet. Which IP Webcam Should I Buy? When considering a webcam, first ask yourself what you want to use it for. If, for example, you're an amateur naturalist wondering what happens in your backyard at night, you'll probably need a night-vision device with motion activation that can withstand the weather. If you want to use it to make video calls, you'll want something in color with a high resolution. Similarly, you should look closely at the field of view and where you plan to install your webcam. If you need to see a lot of area, a “panoramic” or “fisheye” webcam, which refers to the type of lens, will show an extremely wide range. The video may look distorted; this is a consequence of the lens used. 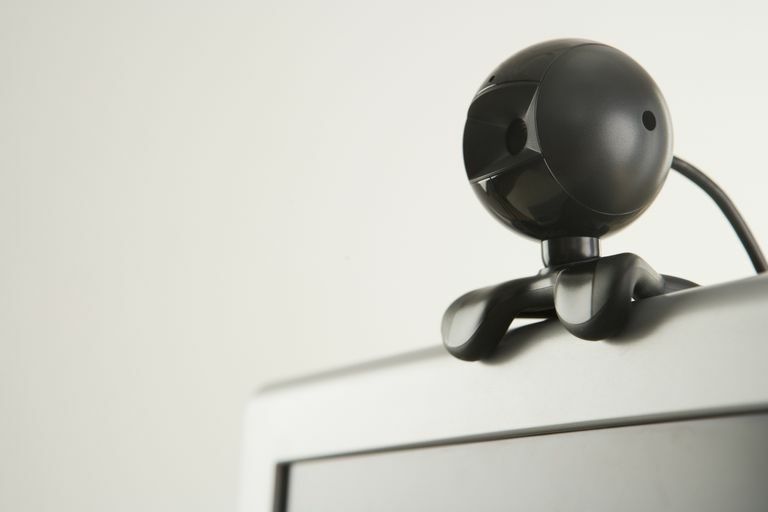 Many webcams, though, will have a field of view roughly similar to your smartphone's camera, and are better suited for viewing individual rooms. If you need to monitor multiple rooms, you may need to buy several of the same webcam. Look for webcams that will allow you to “network” the cameras and share multiple feeds with the app. Before buying any IP webcam, you should check its security closely. Since they're designed to be connected to the internet directly, they can be vulnerable to hackers and even online snoops. While you'll need to take steps at home to protect any device you buy, you should check that it supports a set of features before you put down any money. Wi-Fi Protocols: The IP webcam should support current, secure Wi-Fi protocols, such as WPA2. Any websites it asks you to go to should use SSL/TLS to secure your password; this can be spotted by looking at the web address, which begins with "https://". It should allow you to set passwords not just on the website to look at the feed, but to access the camera and settings. This information should be on the manufacturer's website, or available from their helpline. Also search for criticism of specific makes and models of cameras online. Update Software and Firmware: You should also check for security updates for your router's firmware, which can be found on the website of your router's manufacturer, you should run any updates on your browser and computer before you install the camera, and your phone should be updated to the latest software. This will ensure all the links in the “chain” of your camera are secure. Placement: When placing your webcam, consider who might be seen by it. A camera facing out into your backyard to see who visits the bird feeder isn't much of a security concern, but a camera that can see the security code you punch into your keypad might be. Discuss with the other members of your household where you're putting the camera, and why, so they understand the need and can ensure it's placed where it will be most useful, not intrusive.